Lazarus Syndrome is a medical condition where the patient is pronounced dead – whilst being very much alive. Having found themselves in a Heineken Cup group with Clermont Auvergne, Harlequins and Racing Metro, the Scarlets were diagnosed with rugby’s Lazarus Syndrome and were bagged and tagged before the competition had even started. However, after two rounds, the Scarlets are top of the group of death and deservedly so. Their strong post-engagement scrummagers are thriving. 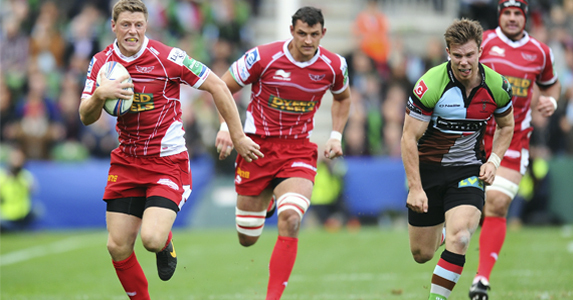 Rhys Priestland’s passing game is back to its accurate best and his shallow positioning, and desire to attack the tackle-line, has helped Scott Williams become one of the form players in Europe. Jordan Williams’ ability to leave players standing and Liam Williams’ determination to leave nothing standing have also contributed to a Scarlets team that is punching way above its modest player budget. Hat tip to the Scarlets. Split personality: Which Cardiff Blues side will turn up? The highs and lows experienced by the Cardiff Blues have been remarkable. 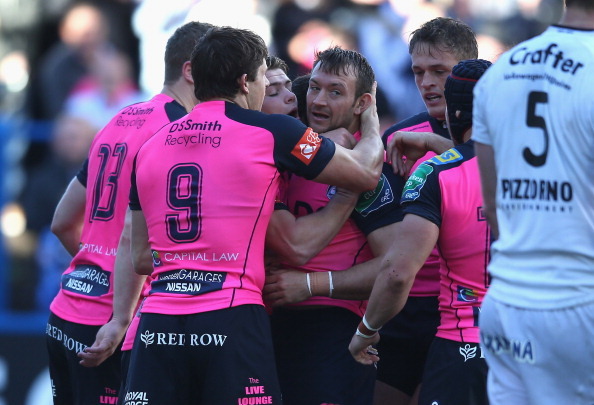 Having lost to Exeter in the opening round of the Heineken Cup, they then beat the reigning champions. Such was the speed at which they ascended from the depths to giddy highs in, it’s surprising more Blues’ supporters were lucky not to suffer from ‘the bends’. Against Exeter the Blues’ excruciating performance meant that the opposition were only required to make 14 tackles in the first half – statistically, one player didn’t need to make a single tackle during 40 minutes. Yet, six days later, Cardiff Blues beat Toulon and with it one of the biggest packs in Europe and a backline of the quality usually reserved for test coaches. The roller-coaster didn’t end there. Despite securing a shameful 19% possession and 11% percent territory during the first half against Exeter, they finished the game with four tries and with it a bonus point. It means that, with a home win and an away bonus point, the Blues have made a textbook start to a Heineken campaign – albeit an unconventional textbook. 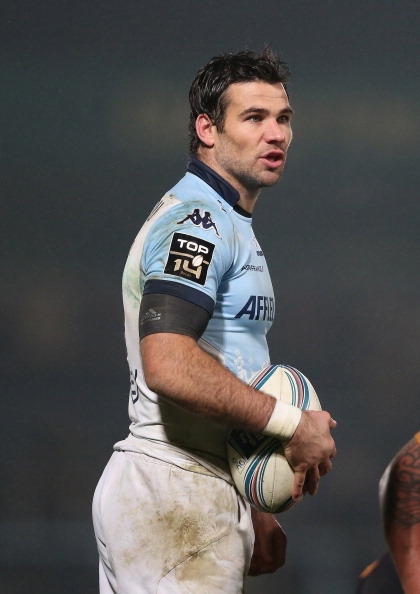 Mike Phillips seems, once again, to have made a sizable faux-pas. Except that on this occasion, turning up for a Bayonne video session worse for wear has resulted in his contract being shredded and some rather sobering words from high profile figures within the rugby community. This isn’t Phillips’ first alcohol related incident and his actions obviously shouldn’t be condoned – especially as he is a professional player who was earning a vast sum at a club that finds itself at the wrong end of the Top 14. However, it is hard to ignore the hint of hypocrisy whenever the rugby community lambasts one of its own for an alcohol related incident – and to be clear I am talking purely about incidents without criminal implications. For example this week I witnessed a group of blokes debating the Phillips’ incident – as they supped their sixth pint. Last weekend rugby clubs would’ve been awash with members discussing Phillips’ actions as they kept one eye on their mate smashing down a yard of ale. Many grassroots clubs still pay their players with beer vouchers and rugby sponsorship is entwined with alcohol brands. Whether there’s a link between alcohol and Mike Phillips’ dismissal will be decided by an employment tribunal – Phillips is taking legal action. However, the link between rugby and alcohol is there for all to see. Prior to Warren Gatland taking control of the Lions there were many in Wales who feared the role would impair his ability to manage Wales in the future. Would his commitment to Wales be tainted having mingled with the English, Irish and Scottish? However, Gatland told a Welsh newspaper that one of the reasons for selecting Andy Farrell as part of his coaching staff was so that he could gain a ‘little bit of an insight into England and their preparations’. Whether the comment was tongue-in-cheek, or one of Gatland’s notorious mind-games, it represented Gatland severing ties with the Lions and publicly recommitting to Wales – his presence in Wales is already strangely reassuring. Talking of Gatland’s grenades I’d like to see Hasbro release ‘Warren’s Mind Games’ as an interactive DVD for the Christmas market. You, and your family, take on Gatland in a series of mind-game challenges. After 80 minutes Gatland invariably wins and you and your grandmother become another scalp on Gatland’s increasingly impressive CV – not sure it would be on Keith Wood’s Christmas list, mind. 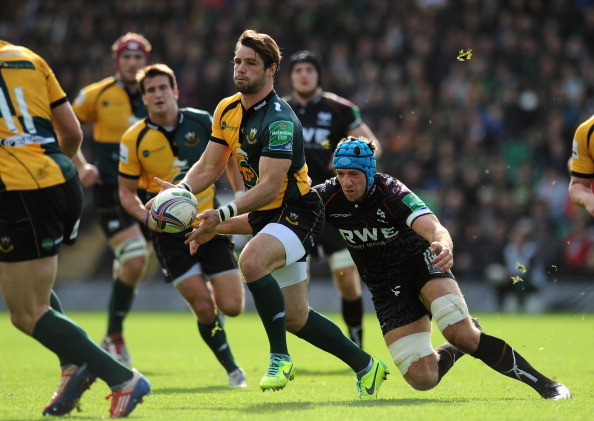 Some of Justin Tipuric’s performances in October have been sublime. Last week’s display against the Newport Gwent Dragons was as complete as you’ll see from an open-side flanker. But that’s what’s remarkable about Tipuric – his display against the Dragons was also as good as you will see from a professional-level outside-centre. Tipuric made four clean breaks, beat four defenders and made two offloads against the Dragons – more than the orthodox centres on either team. Those numbers may portray him as a glory hunting backrow forward who sits in the 13 channel calling for a cross-kick. Far from it – against the Dragons he was also the Ospreys’ top tackler and the most effective ball carrier in their pack. Gatland’s got a big decision to make regarding his flankers. However, the solution may not revolve around who plays at seven, but at six. The future of European Rugby is still a mess.